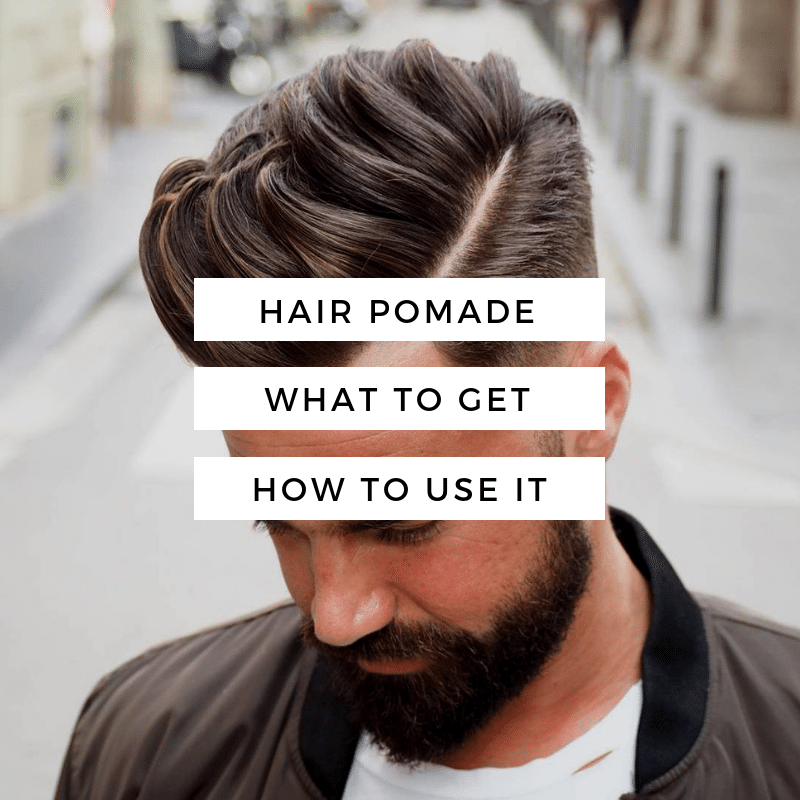 Check out all the different ways to wear the comb over fade haircut. 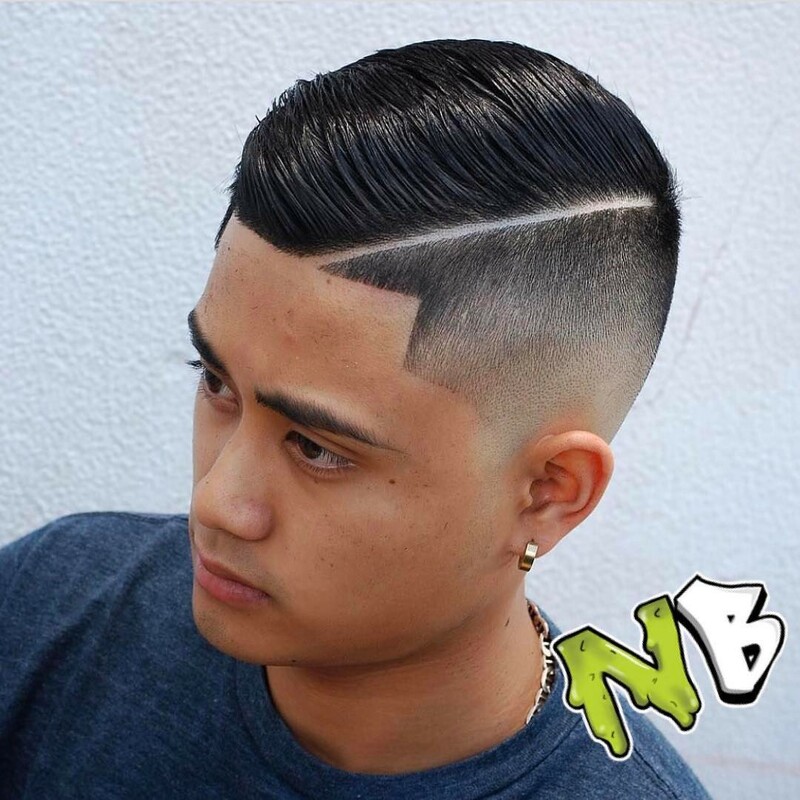 Some barbers call this cut a side part. 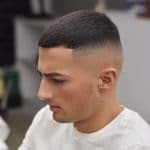 Some comb over hairstyles are also side part hairstyles but not all of them have that defined part. 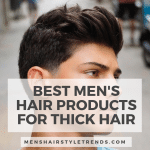 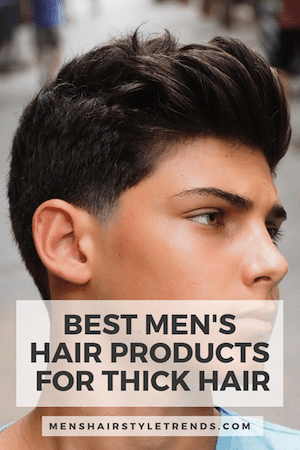 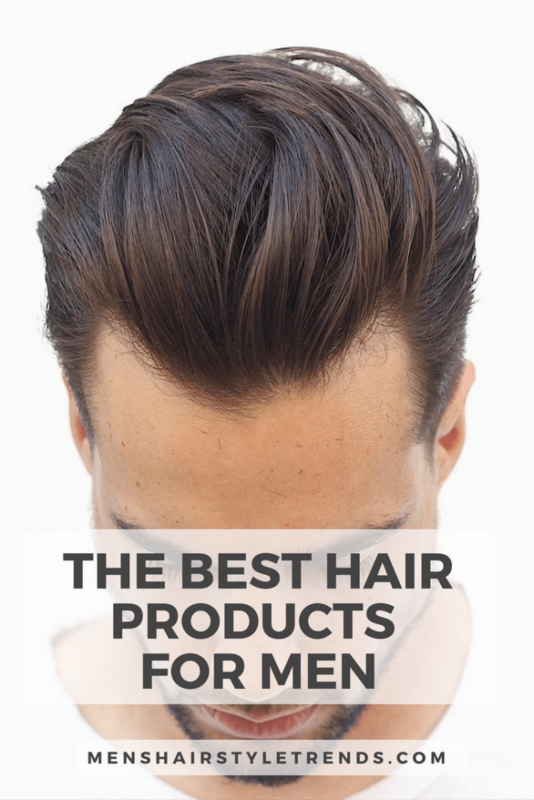 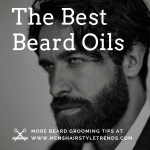 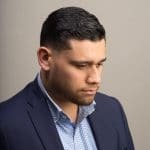 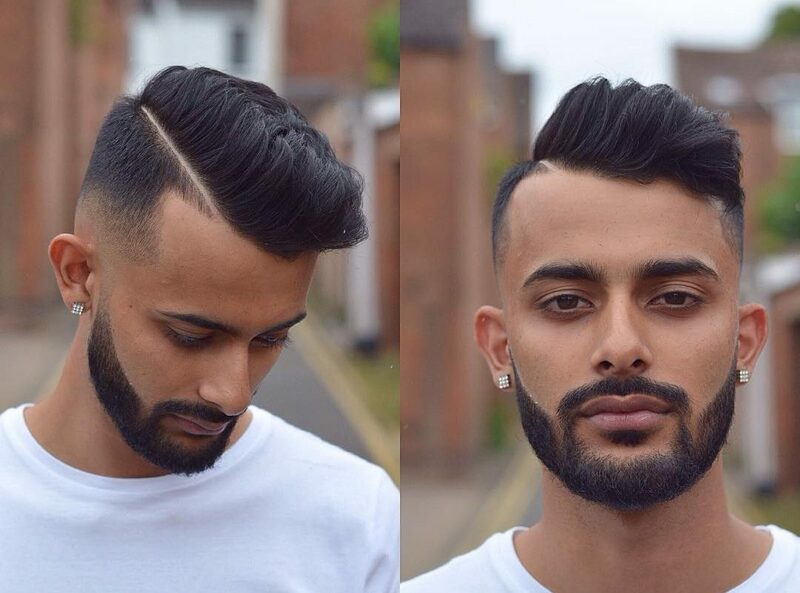 The comb over fade works for a wide range of men’s hair types. 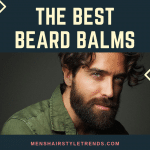 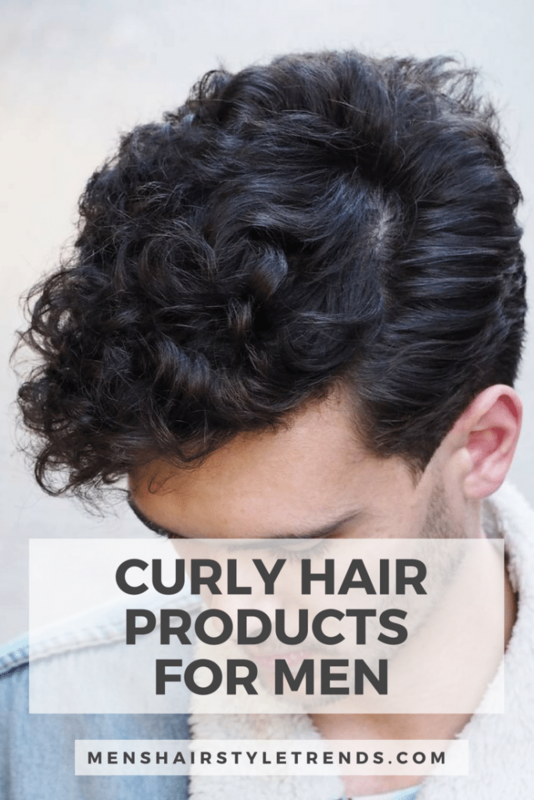 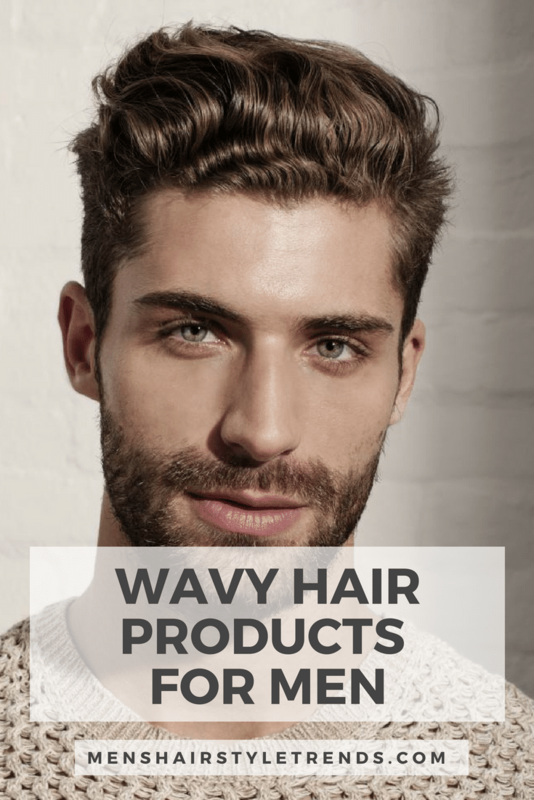 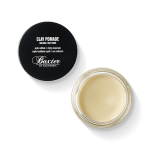 It can tame thick hair, enhance volume for wavy hair or add style and shape to fine hair. 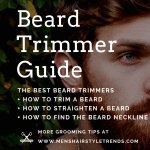 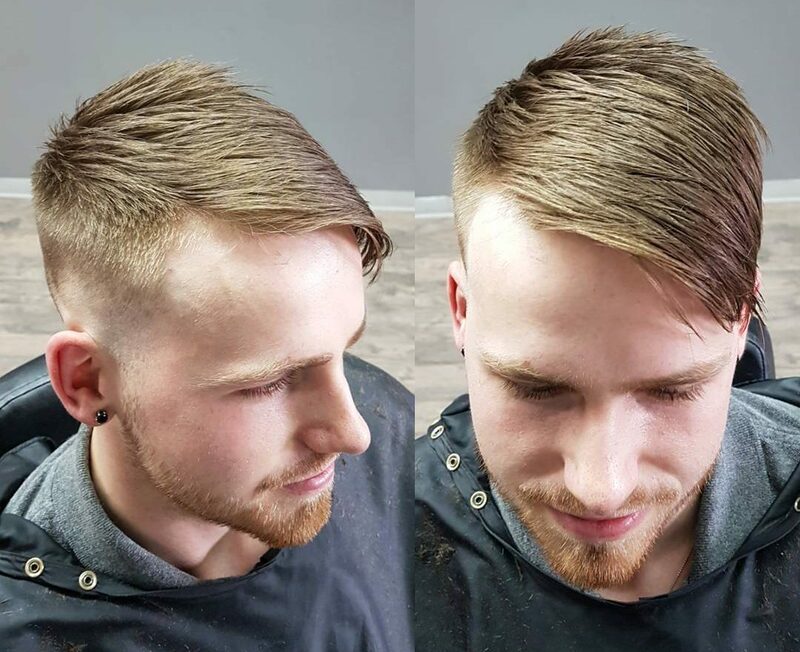 Add in a low, mid or high fade, wear it with a taper fade or add a hard part to make it your own unique cut. 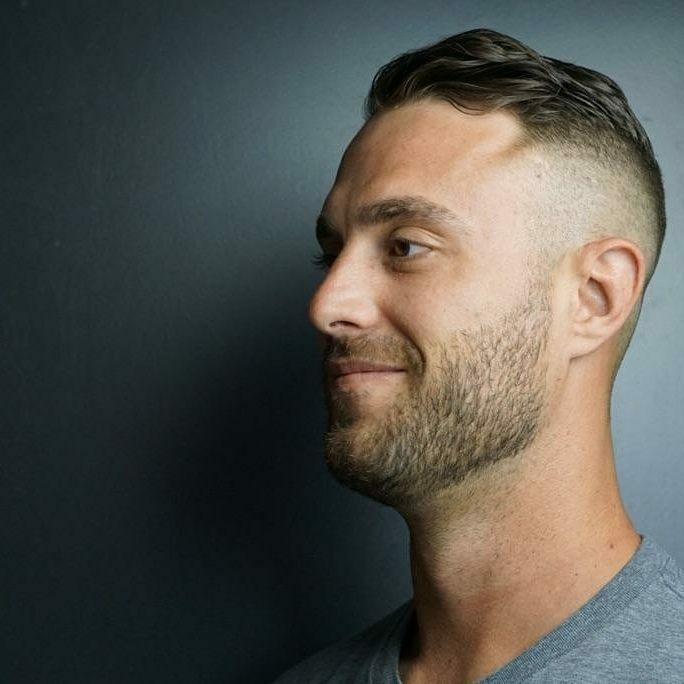 Check out these 16 ways to wear comb over fade haircuts. 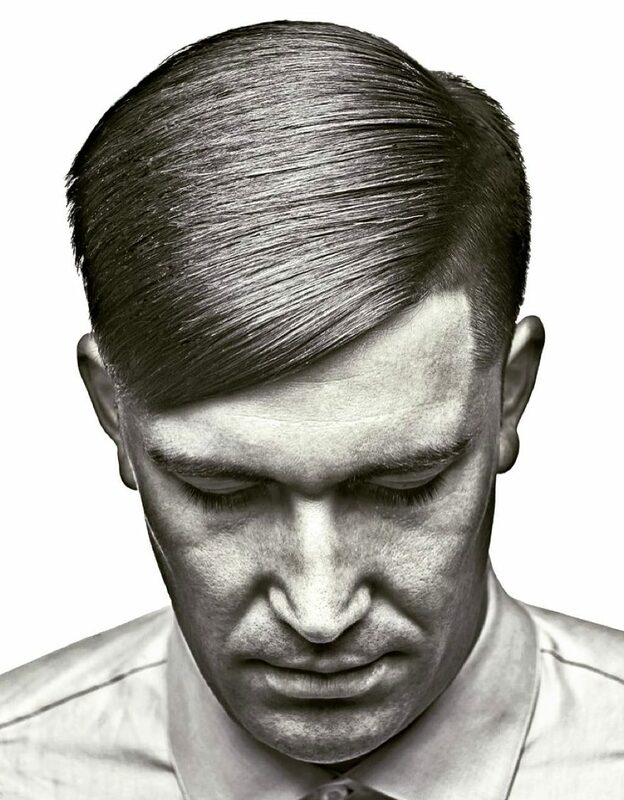 This classic comb over style features smooth hair on top and short sides that fade down to the skin at the hairline. 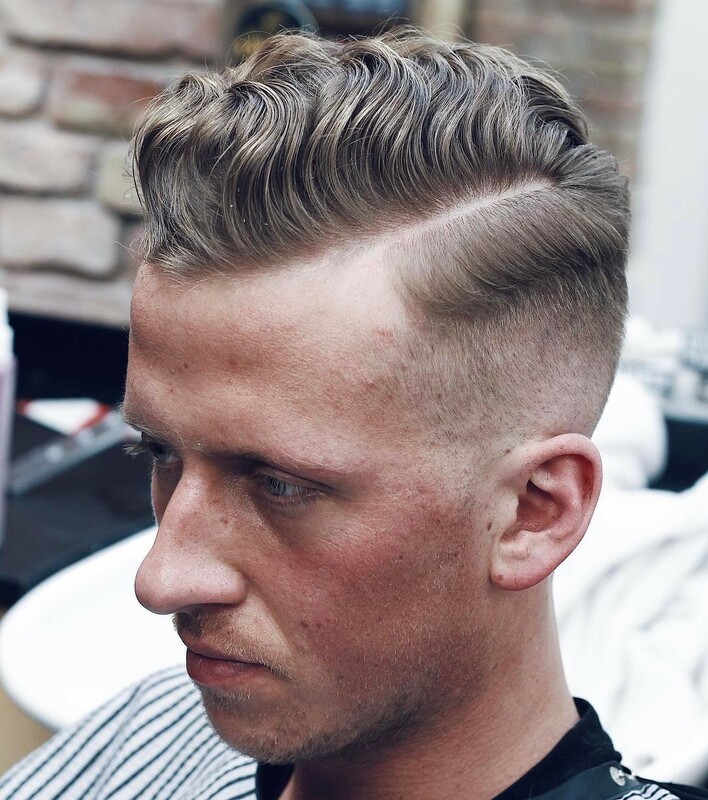 The comb over fade haircut works well with the natural texture and volume of wavy or even curly hair. 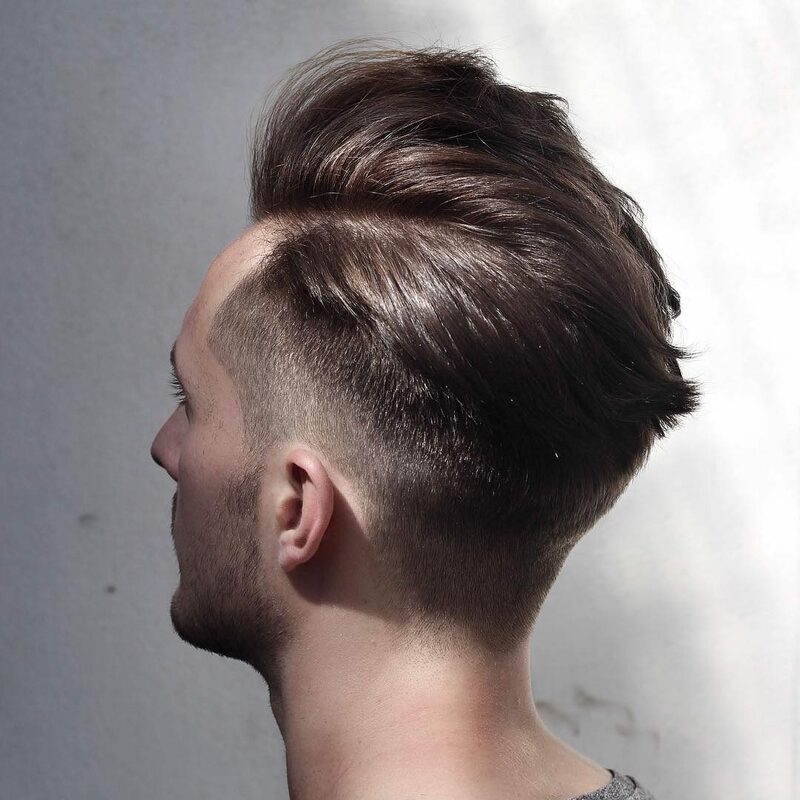 This modern take on the side part features lots of volume that lets hair move and flow freely. 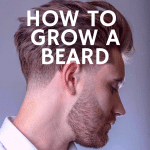 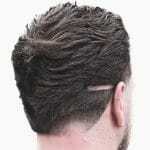 A low fade keeps some length at the sides. 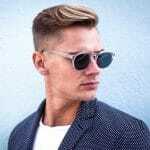 Short hair on top is combed across with a sweep of volume at the forehead. 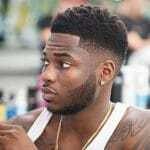 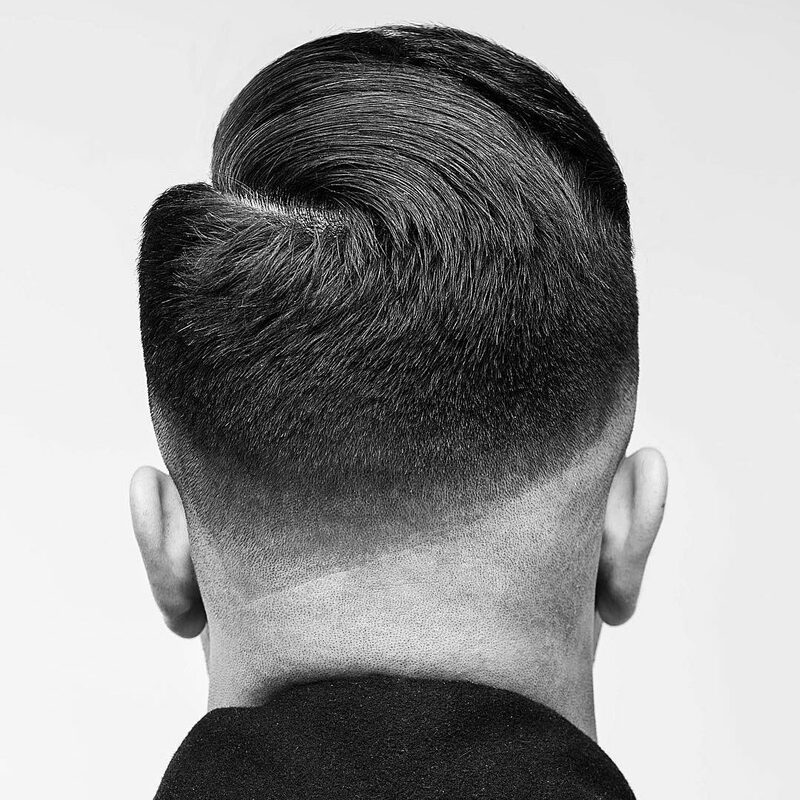 A mid level fade places more emphasis on hair on top while keeping sides close cropped. 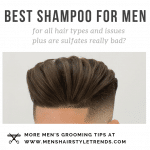 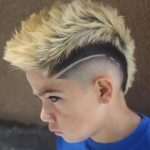 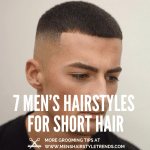 A high fade makes for a disconnected hairstyle with a stark contrast between thick hair on top and ultra short sides. 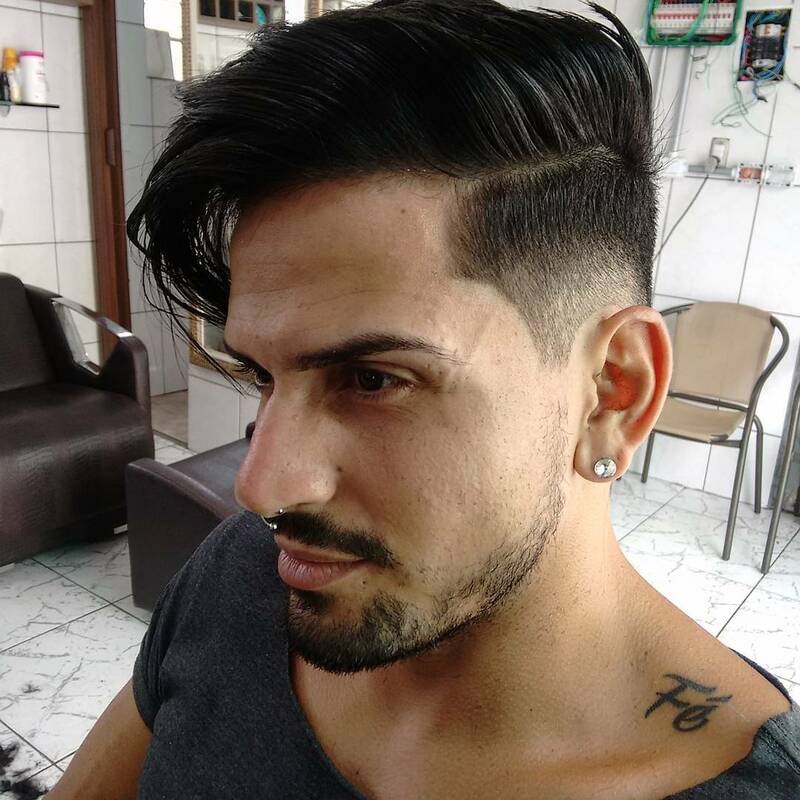 This cool comb over features long hair on top and short sides with a fade at the temples. 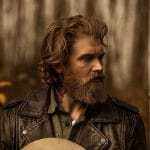 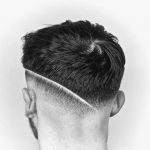 A fade that goes down to the skin puts even more emphasis on long hair on top. 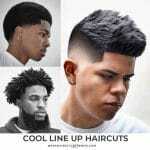 This version is styled with volume and texture that is on point for 2017. 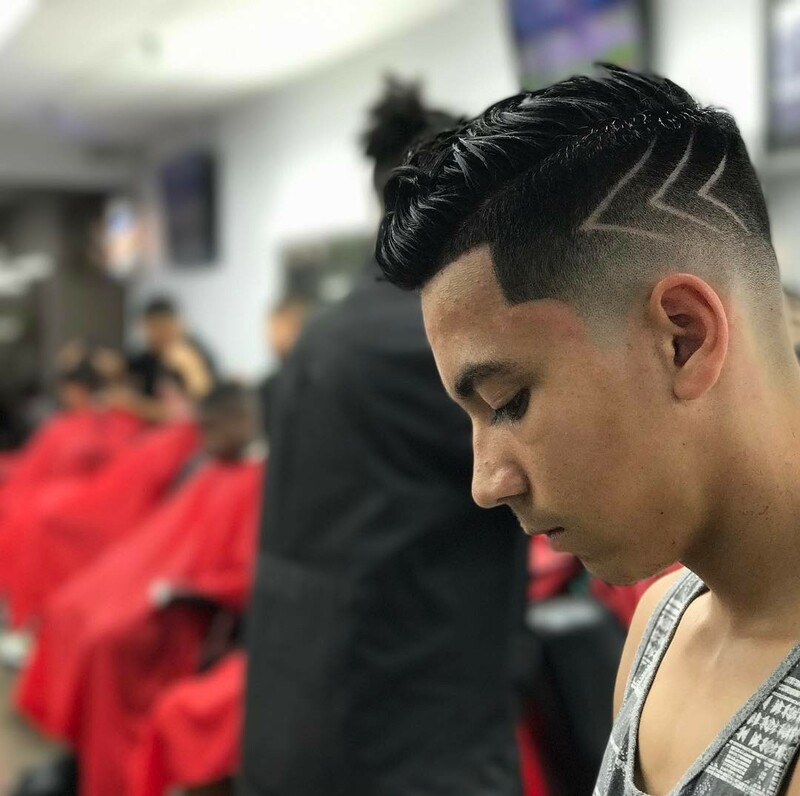 This cool cut features a high blurry fade that goes down to the skin in a burst fade around the ear. 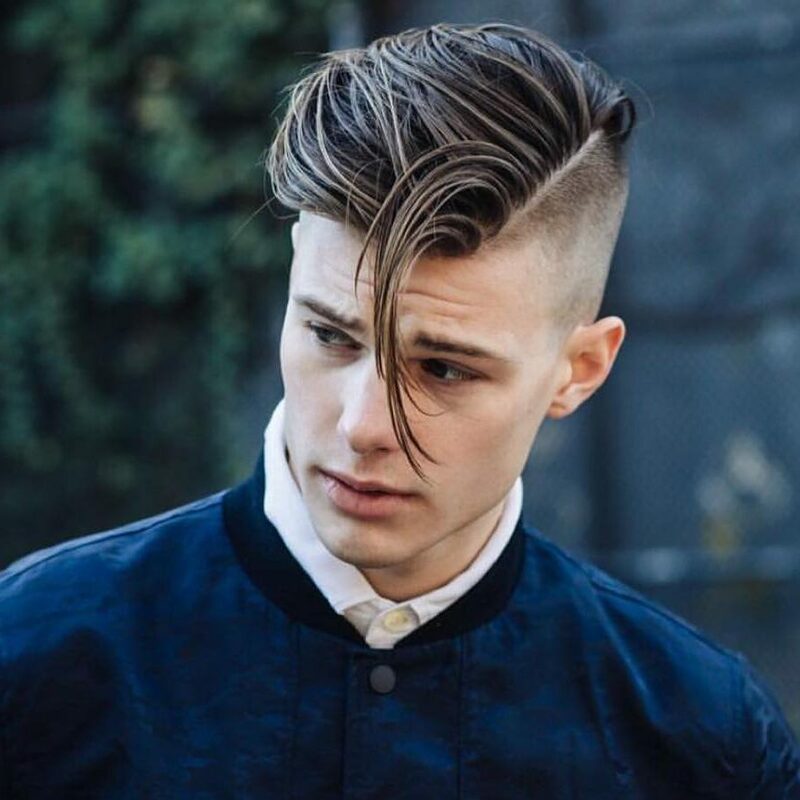 On top, hair is styled with some shine. 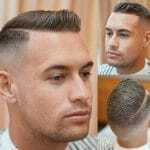 This comb over fade with fringe is not only a cool cut but conceals a high forehead or receding hairline. 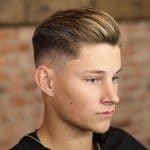 This modern cut also features on trend textured styling. 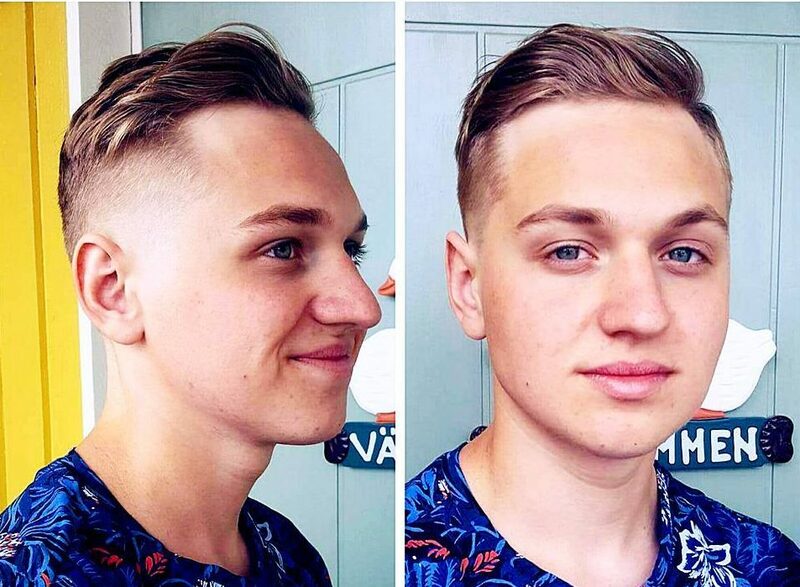 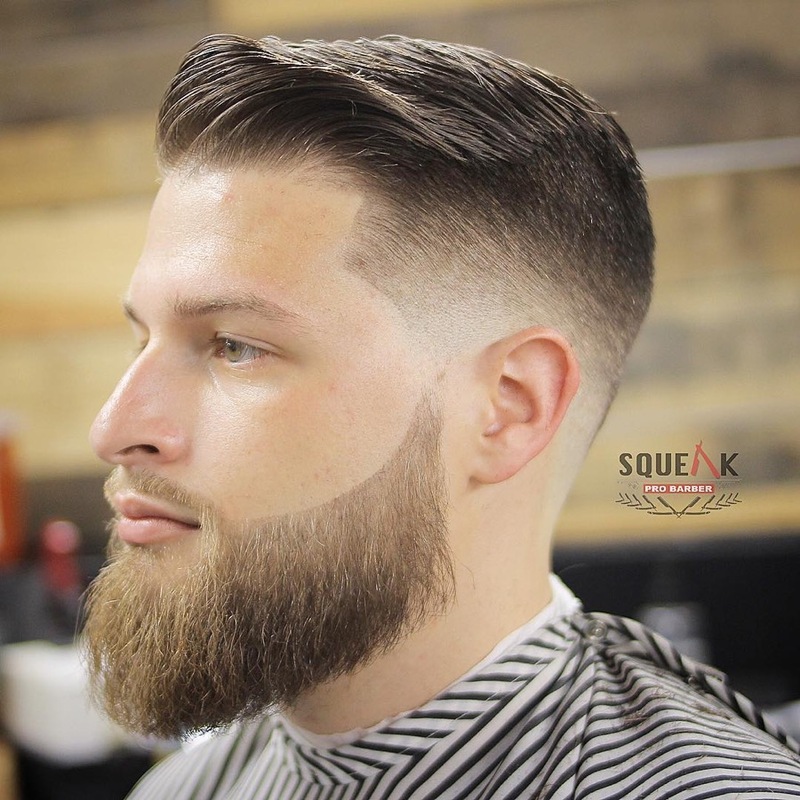 This short comb over fade looks stylish in the heat of summer. 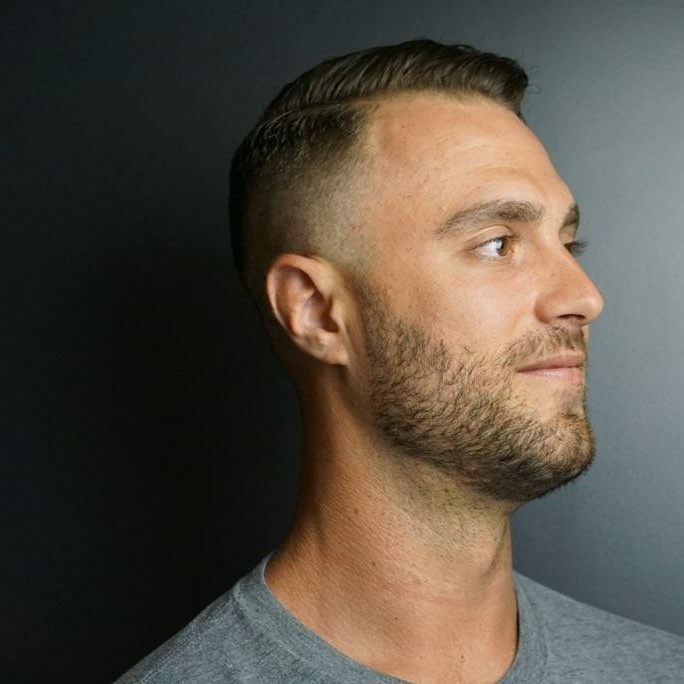 The combover also works with a burst fade and longer sides. 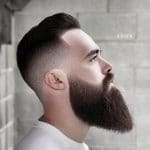 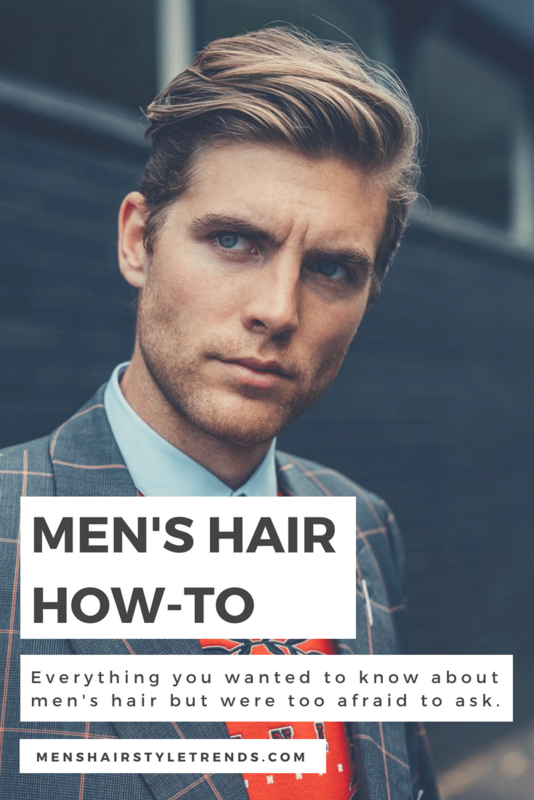 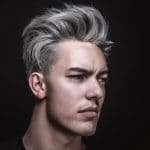 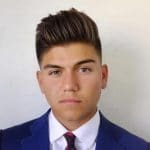 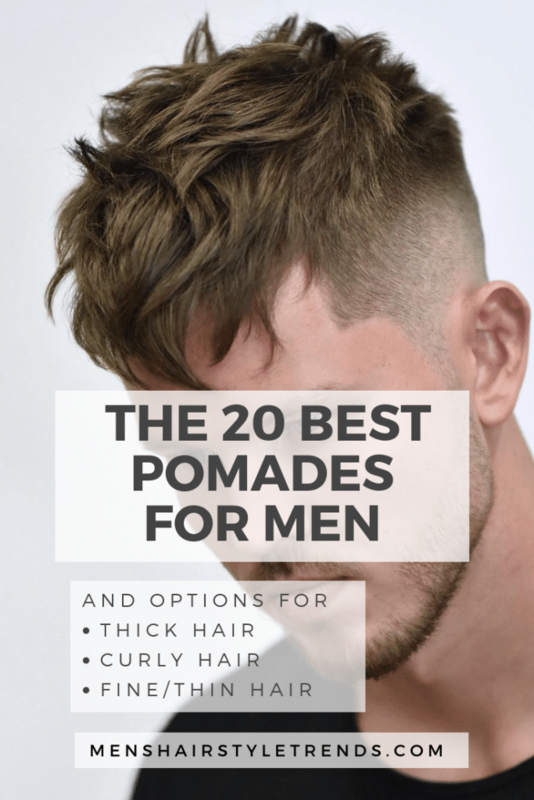 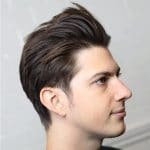 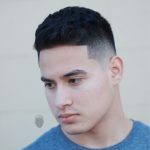 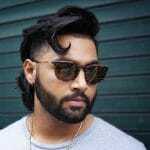 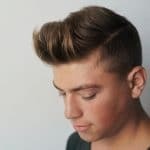 This unique men’s hairstyle combines a pomp at the front with hair combed opposite a hard part. 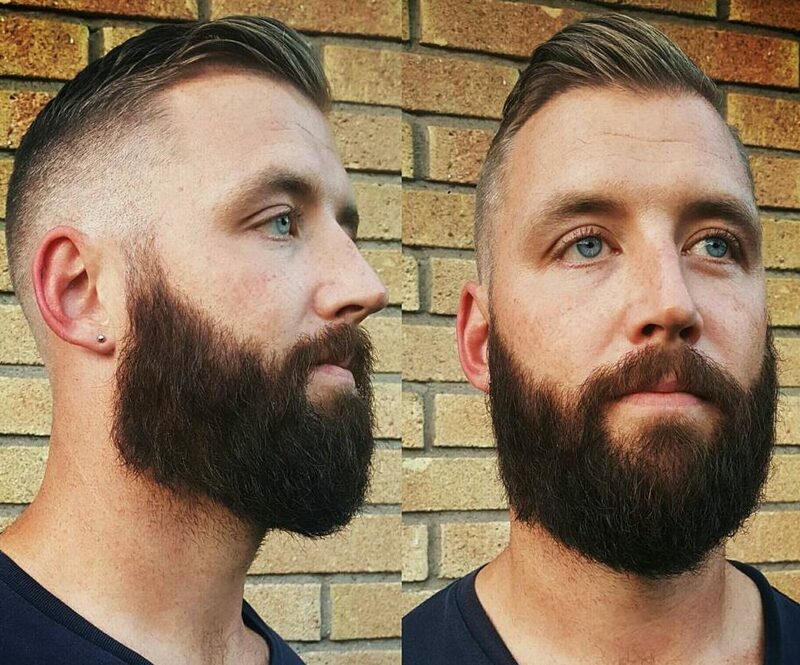 All fades look great with facial hair. 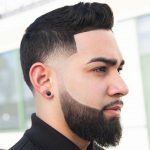 Just like a fade transitions from hair to none, the side burns fade up from skin to a full beard. 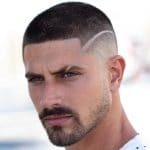 Add a twist to your comb over fade haircuts with a hair design. 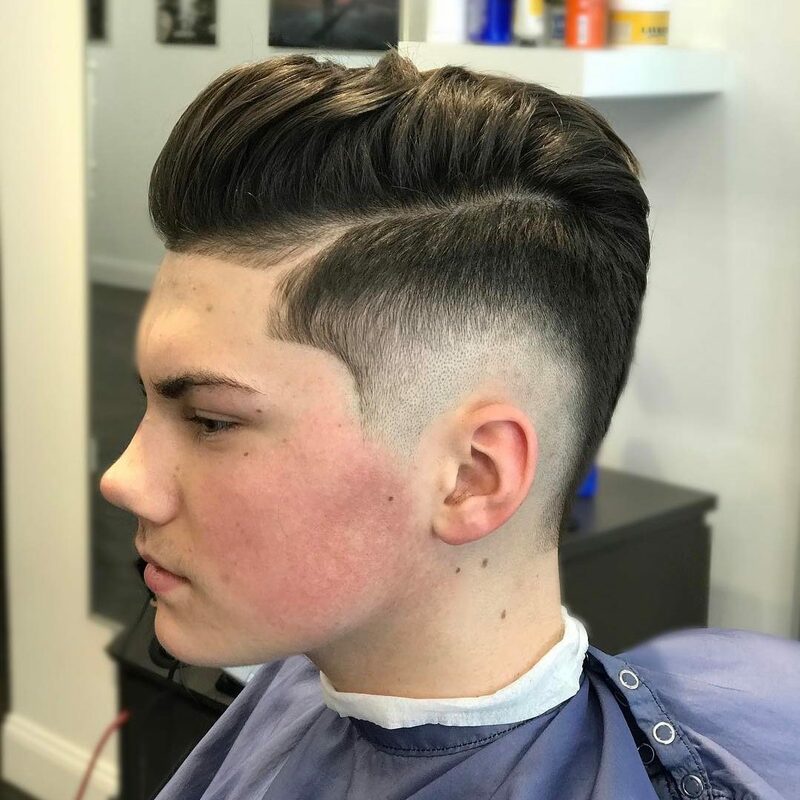 Another unique variation on the comb over fade haircut is this offset V-shaped neckline. 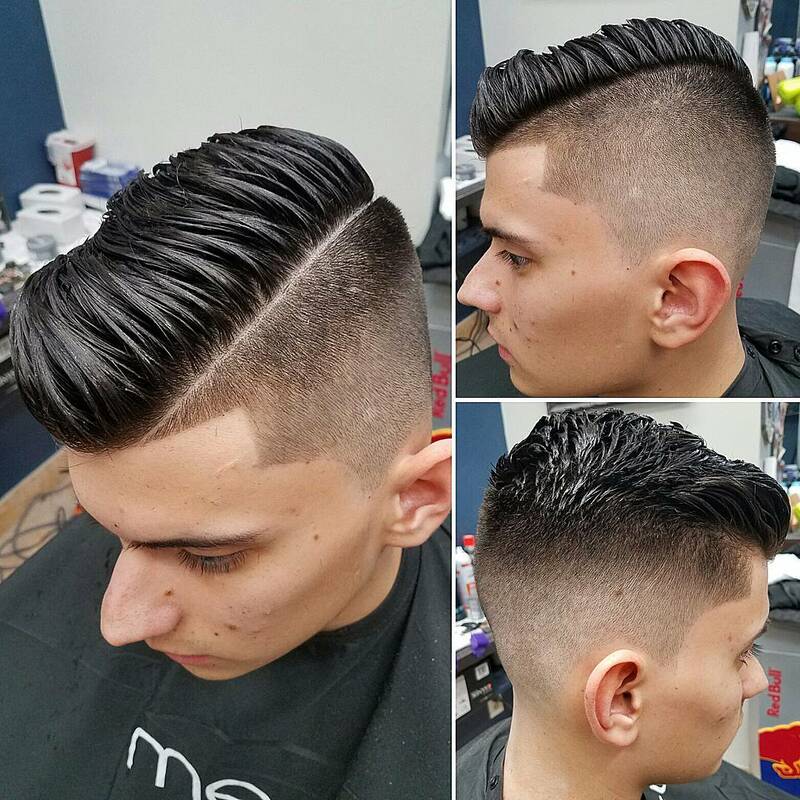 Maintaining the look requires some maintenance but it’s worth it.